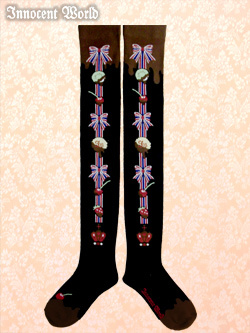 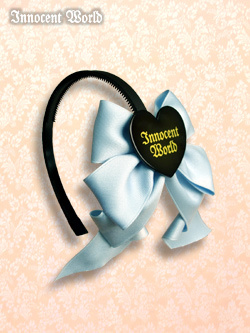 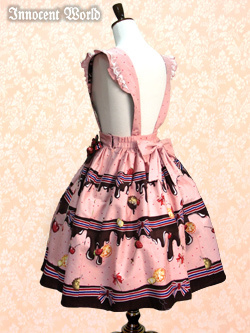 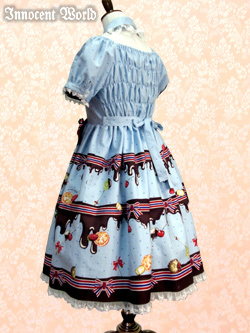 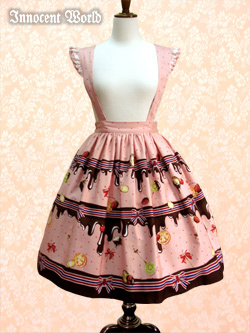 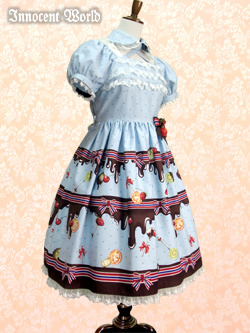 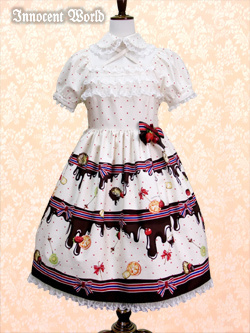 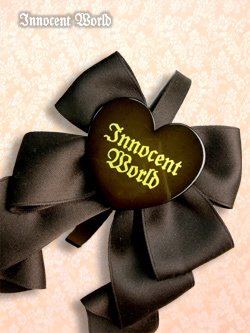 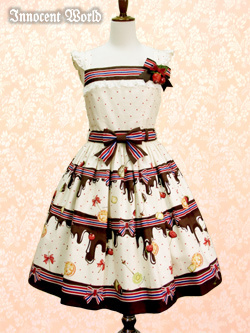 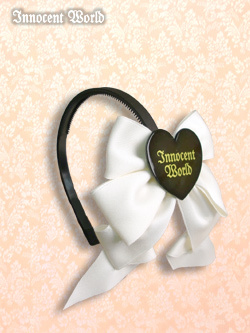 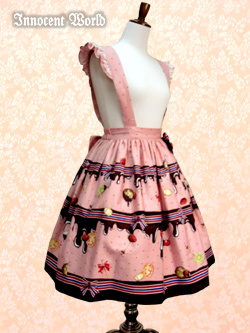 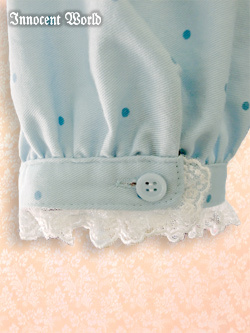 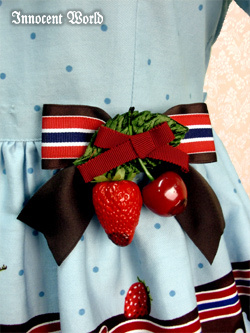 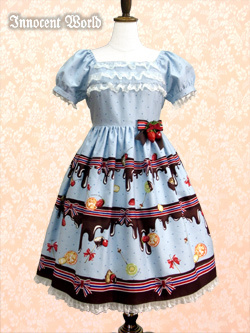 Every now and then, Innocent World takes a dive into the super-sweet world that is normally dominated by Angelic Pretty and makes a brightly colored, super-sweet print with all the classical hallmarks of Innocent World, and when they do, it’s absolutely fantastic. 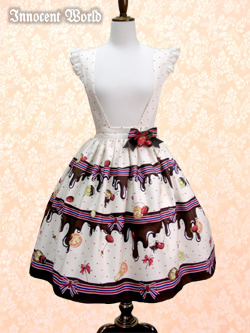 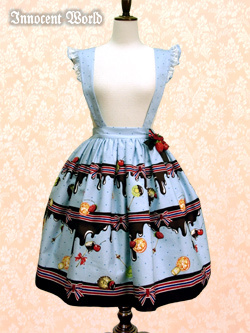 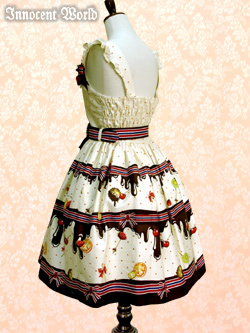 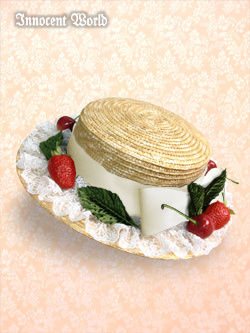 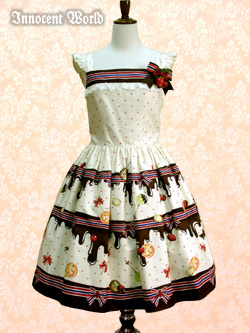 One of my absolute, all-time favorite prints is Innocent World’s Strawberry Field Animals, and this, their brand new チョコレートファウンテン (Chocolate Fountain) print is certainly edging into that same territory. 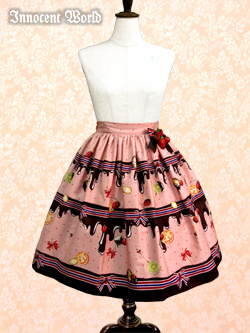 Do you see all that fake fruit dipped in chocolate she has going on? 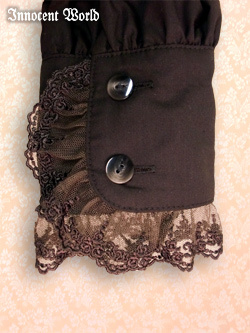 It’s so wonderfully over the top without being cartoony or cheap (at least, it doesn’t look cheap to me). 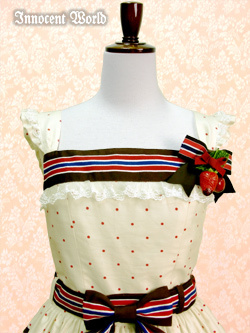 And those stripes! 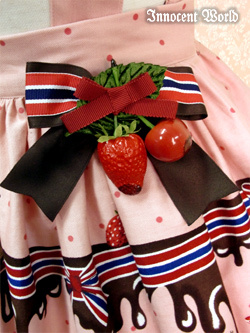 and those bows! 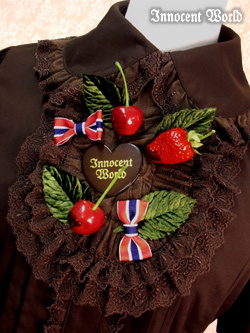 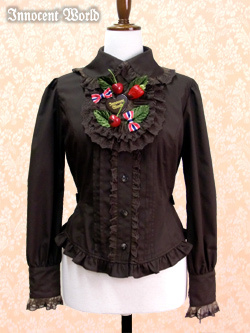 …and the fact that she has kiwi on her dress. 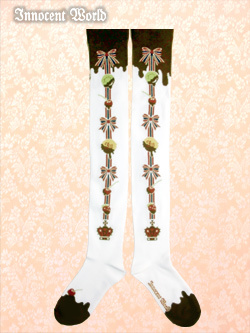 So far, it looks likely that it comes in Sax, Pink and Off-white. 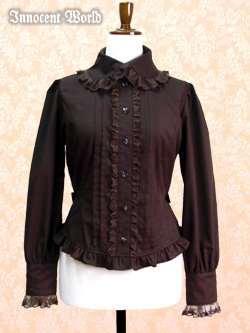 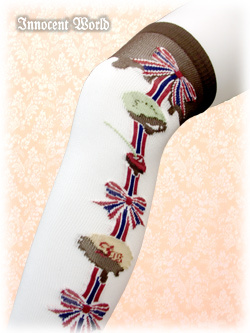 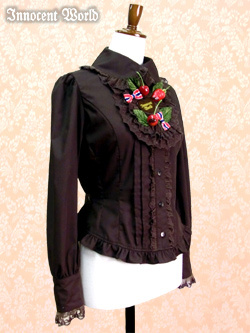 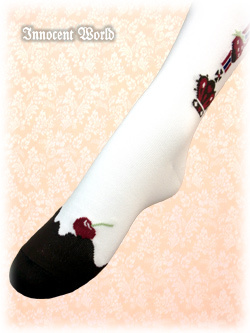 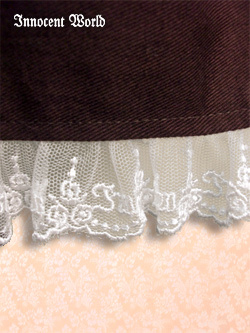 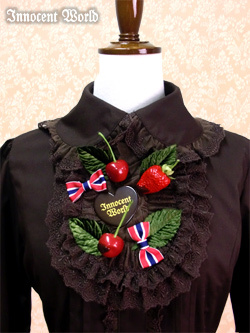 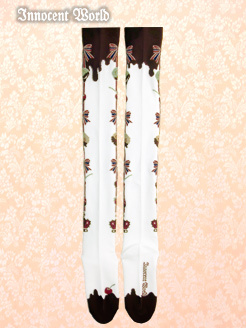 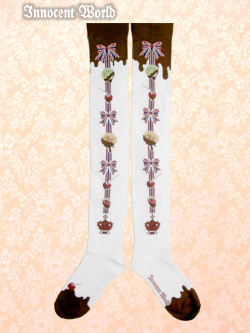 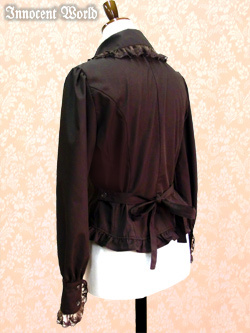 The Blouse comes in Brown, White or Off-white, the socks come in black, Off-white, White and Cafe au Lait (but not brown). 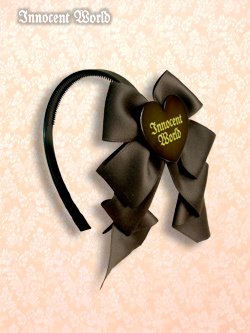 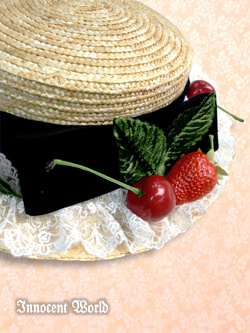 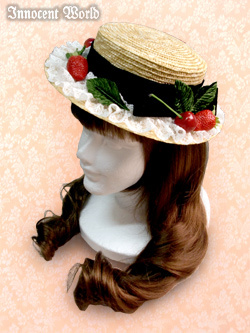 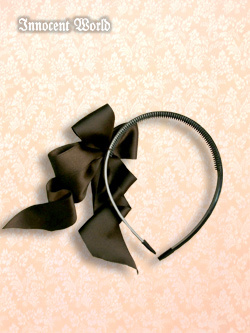 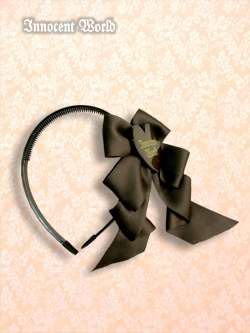 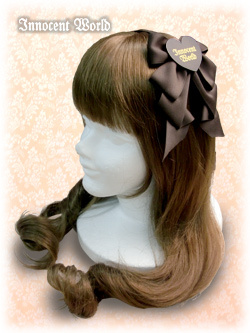 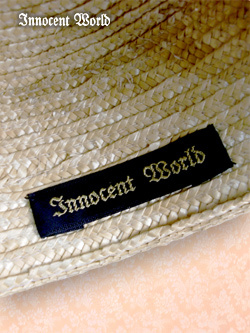 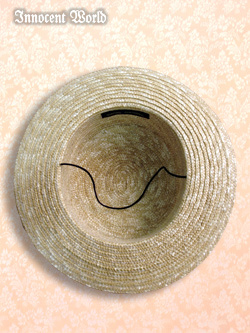 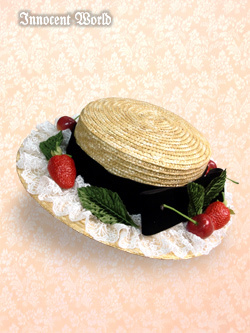 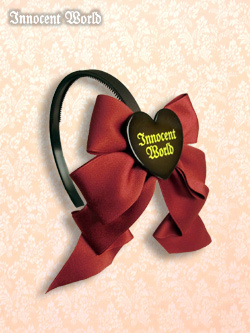 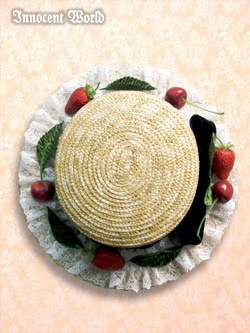 The hat comes with a Brown, Off-white or Black ribbon, and the headbow comes in Off-white, Brown, Red or Sax. 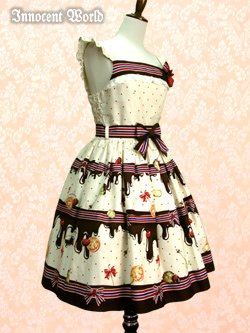 I totally want this. 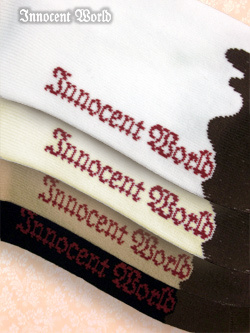 I actually think the off-white is probably the best color in this, but off-white doesn’t suite me, so I’ll probably go with sax or pink. 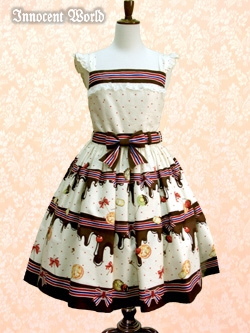 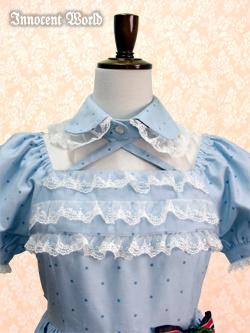 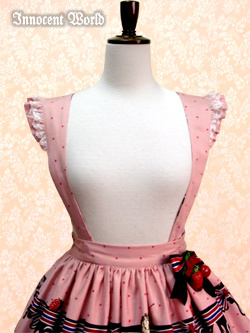 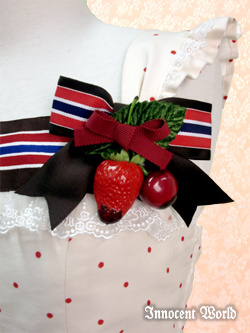 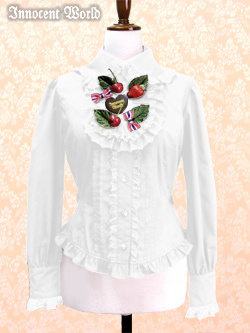 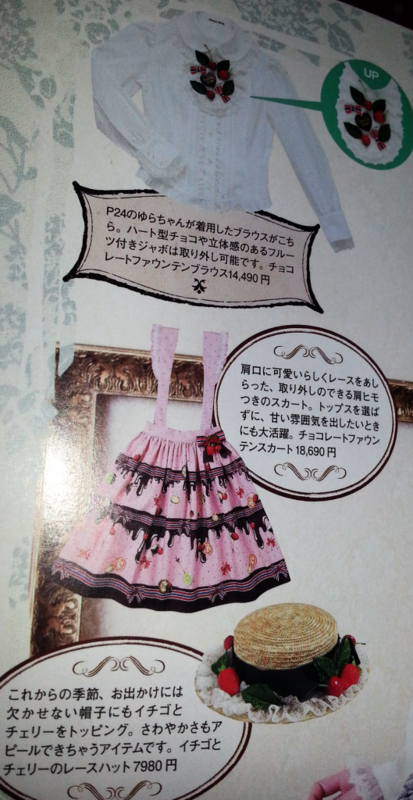 I’m leaning towards the JSK, because I don’t think the bodice of the OP would flatter my shape.